I’ve always thought of Dave Hill of Valley Lodge as a comedian who happens to write good songs. One listen to his band’s latest and you may come to the same realization as I. Hill is first and foremost a songwriter and Fog Machine is an excellent power pop record. Straddling the line between catchy and kitschy, metal and power pop, bubblegum and glam, Hill & Co. take us through 14 killer tracks of rock ‘n’ roll goodness. The song “I’m Gone” is a case in point. This break up song may contain the lyric of the year. “Not sure how much more I can stand. I mean, c’mon. I live in a van”. And the opening bells are perfect. “It’s Alright” has a decidedly bubblegum flavor to it, not dissimilar to The Sweet’s “Blockbuster”. 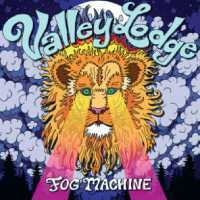 All of the past three Valley Lodge albums have their virtues. I’d recommend any of them as well as Hill’s collaboration with Chris Reifert (Autopsy) as Painted Doll. That having been said, Fog Machine is a cut above all of them. Every song has something unique and fun about it. Due for release on October 19 via Tee Pee Records, you can order the CD HERE. If you prefer the digital version, get it on iTunes HERE. 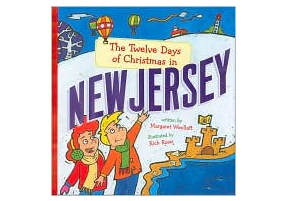 Finally, you can learn a little bit about dave Hill the author HERE and HERE. This album is killer, front to back! No filler here. Highly recommended! Hey Chaz – I completely agree. Thanks for leaving a very astute comment. Feel free to stop by and do so again any time!